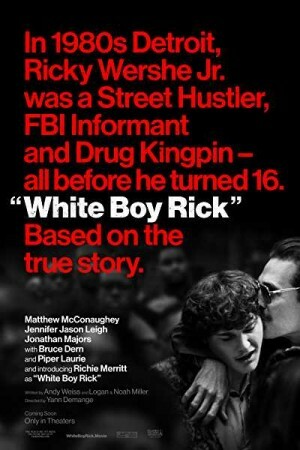 White Boy Rick is an upcoming 2018 American crime drama film that has been directed by Yann Demange. The film is penned down by Noah Miller, Logan Miller and Andy Weiss and it stars Richie Merritt, Piper Laurie, Bel Powley and Matthew McConaughey. The movie is set in the year 1980 where the entire story revolves Ricky Wershe Jr. who works as an FBI informant. At a young age of 14, he started to inform FBI about all the ongoing illegal activities happening around his place. He happened to be the youngest informer of all time and also, he was a drug kingpin before he turned 16.